You are here: Home / All posts / Free dining at Disney World is back! 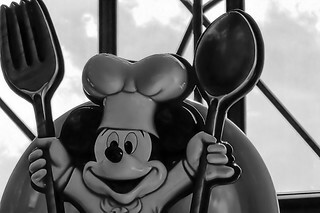 Update 8/3/12: Walt Disney World has extended their free dining promotion for arrivals through December 20, 2012! If you’re like me, your immediate reaction is to hop on over to the 2012 – 2013 Horry County school calendar and check to see when the kids get out for winter break. Hold your carousel horses because I’ve done the leg work for you. The last day in school before winter break if December 18th. Jackpot! Guests staying at a Disney World Value resort will receive the Quick-Service Dining Plan for free and can upgrade to either the Disney Dining plan or the Deluxe Dining plan by only paying the price difference. Guests staying at a Disney World Moderate, Deluxe or Deluxe Villa resort will receive the Disney Dining Plan and can upgrade to the Disney Deluxe Dining for only the difference in price. Availability is limited and dining reservations are already open for all dates so if you’re interested, don’t delay.